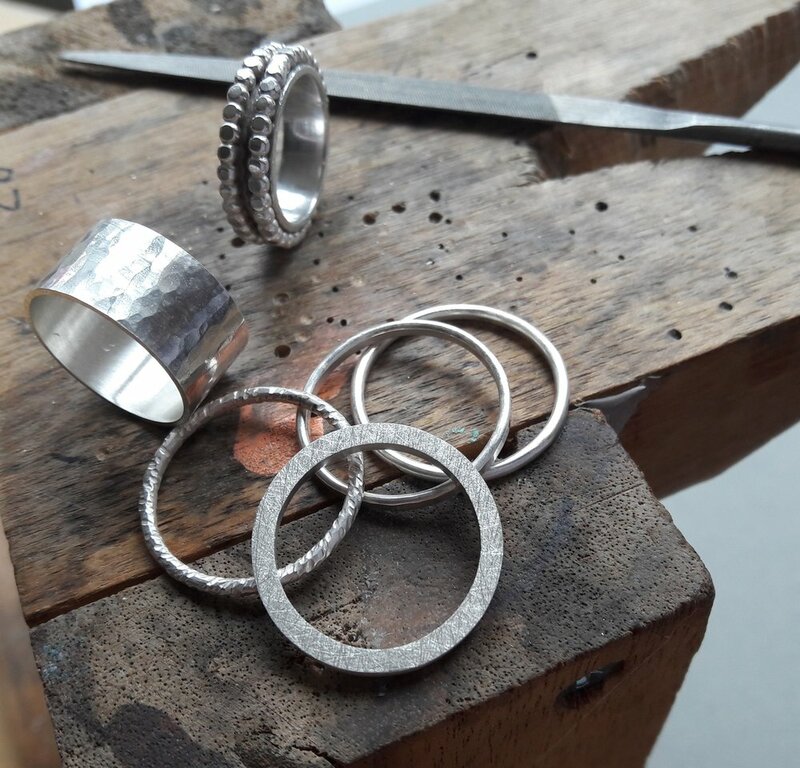 A comprehensive jewellery course covering all aspects of the art of jewellery making, suitable for both beginners and more experienced students who wish to refine their skills. The small class size enables each student to work on an individual sustained project throughout the term with assistance from highly skilled tutors to provide expert one-to-one tuition. All basic jewellery techniques are covered: piercing, soldering and applying texture to the metal. In addition, a selection of more specialised processes such as sand casting, resin, keum-boo and fold forming are taught throughout the course, as students’ individual interests and project requirements emerge. All materials are included, with the exception of silver, which can be purchased at cost at the School. There is no half term break during Summer term.